Most gamers my age have never played an adventure game unless they were lucky enough to convince their parents to buy them when they were seven years old. I was lucky enough to play a few demos back in the day but to be honest, I found them boring because there wasn’t a lot of action to keep the attention of the seven year old me. Fast forward a few years and The Walking Dead was one of the most popular franchises. 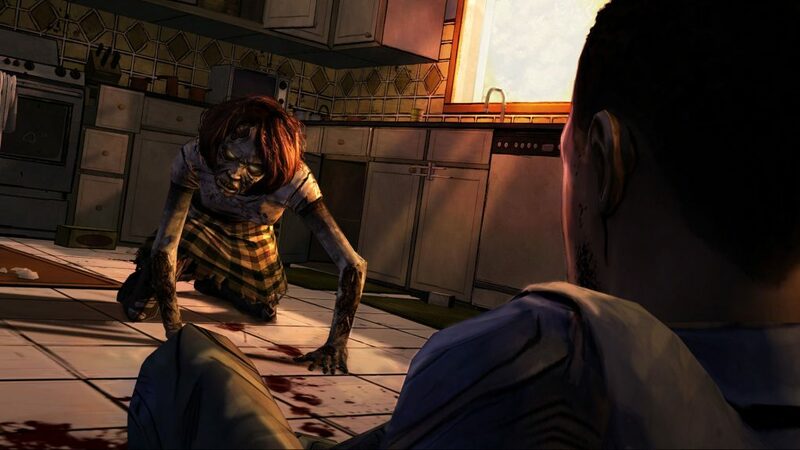 That was when I heard about an adventure game that was based on The Walking Dead TV series. 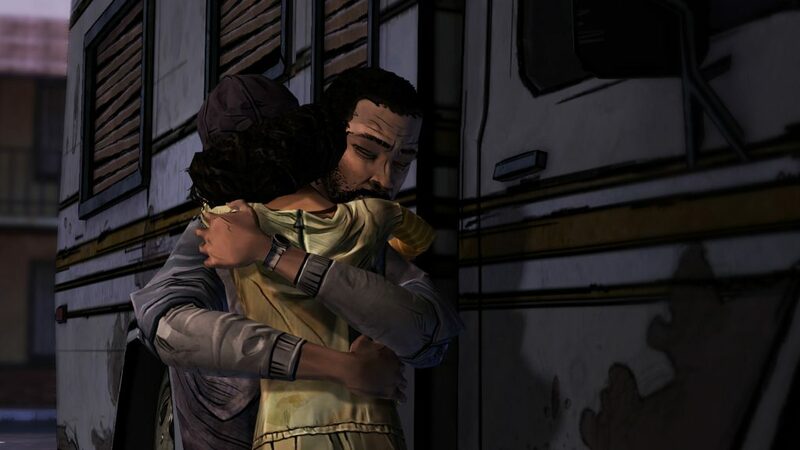 The Walking Dead Season One was developed by a company called Telltale Games and let me tell you , they did a great job with this game. 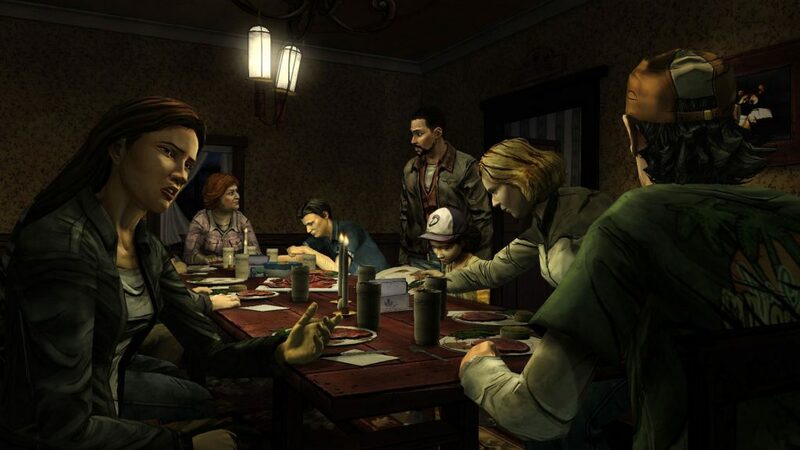 Robert Kirkman, the creator of the Walking Dead comics and TV series was very involved in the development of this game and you can feel it as you play. The great thing about this game is that its not based on the TV series, but rather takes place in different locations with characters you have never met before. While I would have been perfectly happy with playing as the characters from the show, it wouldn’t have suited the way this game plays. The game is a modern take on the classic adventure game genre while adding an extremely well done twist. The story is shaped by the way you play the game. Essentially, at specific points in the game you have to make a time based decision on either a dialogue choice or an action that you have to do. These decisions range from speaking your mind to another character or playing it safe, all the way to deciding if you want to kill someone for their actions or let them go. These decisions affect the rest of the game in ways that are sometimes predictable but the vast majority of them aren’t. The first season consists of five episodes. Each episode takes roughly two hours to complete and while that doesn’t sound like a long time, I found myself feeling exhausted by the end of each episode because the choices I had to make were really intense. There were many times when I had to make a major decision and I would have to pause the game and literally think about what I want to do. Its very seldom that I invest so much of myself into the story of a game. I remember there was one specific decision that I had made that ended up bothering me an entire day because I knew that I had made the wrong decision. You learn very early on that your decisions have a huge affect on the way the story moves forward. You play as Lee Everett, who is on his way to prison but gets a second chance at life when the zombie outbreak happens. 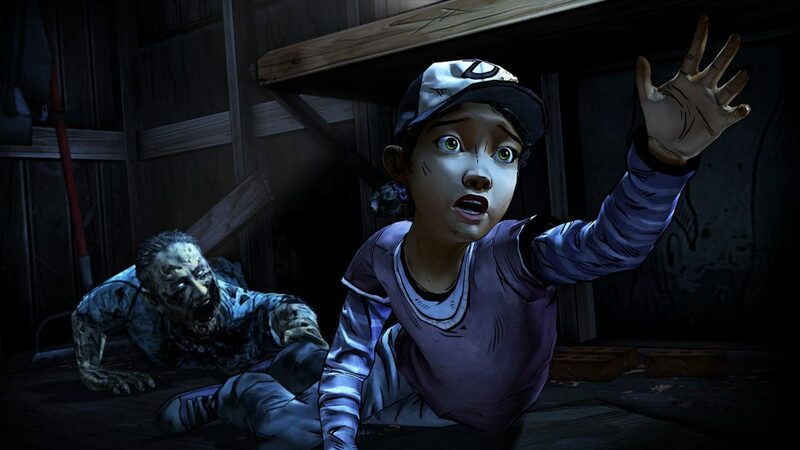 He ends up meeting a seven year old girl called Clementine, and the two of you pair up and try and survive. You meet a vast variety of characters and go to different locations in each chapter. The dialogue in this game is superb. Every dialogue decision I made had an affect on my relationship with the characters around me, determining if they liked me or not and ultimately if they would take my side when things go to crap, and trust me, things will go to crap very quickly. As I mentioned earlier, this is an adventure game. You control Lee and walk around in closed off areas where you need to find objects to solve the puzzle. I found that most of the puzzles were very easy as long as you talked to everyone around you and looked at all the important objects lying around. I enjoyed these sections as they felt like a well deserved break from making morally difficult decisions. There was one issue that frustrated me and it was the biggest flaw of the game. This was the animations of the characters. Now I know the game was released in 2012 so I tried to not judge it too harshly but there were times when the characters just didn’t walk properly or they moved like robots with limbs that had involuntary spasms. The facial animations were pretty good but the longer I played, the more annoyed I got with them. When Lee got angry he would cross his arms and scowl at someone. He did this even in life threatening situations. I’m pretty sure no one will cross their arms while an army of zombies are trying to break through the door behind you. It just didn’t feel believable and that annoyed me. Without giving too much away, this story was one of the few that brought me close to a tear or two. You become so invested in the characters around you that when you make a wrong decision that ends someones like, you feel horrible. There was one specific decision I had made halfway through the game that caused someone I liked to die. I felt that decision all the way through the game. It was so bad that I am actually considering on playing the game again just to see what would happen if I managed to save that specific character. That is where this game truly shines. You can rewind an episode and make different divisions without having to play the entire game all over again.